Aeropostale CEO Julian Geiger claims the private equity firm backing the distressed teen retailer wanted it to crumble. Stocks extend losses by late morning Tuesday after a reading on China's factory activity disappoints and sparks fears over the global economic growth. Stock futures slide on Tuesday after a change in policy from the Reserve Bank of Australia triggers fears over the health of the global economy. Aeropostale is reportedly planning to file for bankruptcy protection this week. U.S. stock futures trade lower and European stocks fall. Shares in Australia surge after the Reserve Bank of Australia cut its benchmark rate for the first time in a year. Aeropostale (ARO) stock is plunging after reports suggested that the retailer will file for bankruptcy as soon as this month. The board of the struggling teen apparel retailer has given the OK for Aeropostale to explore strategic alternatives. 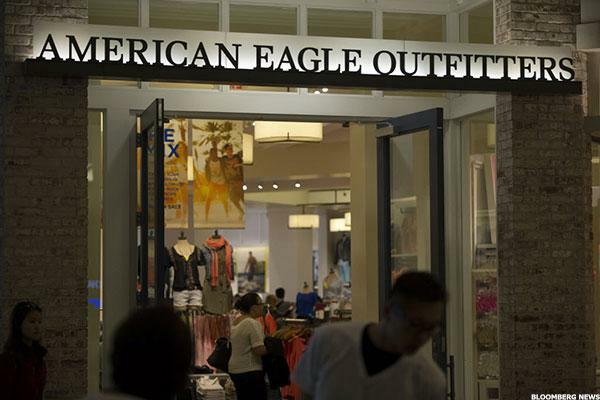 Struggling mall-based retailer Aéropostale Inc. ARO has brought in advisers to help it explore a sale or restructuring, reports The Deal's Jamie Mason. Stocks were on track for their fifth straight week of gains as crude oil climbed to its best level of the year on hopes of a production freeze. Aeropostale (ARO) stock is plummeting in early-morning trading on Friday after the company announced that it would explore a potential sale and reported a weak 2015 fourth quarter. Aeropostale (ARO) shares are getting hammered in after-hours trading on Thursday immediately following the mall-based specialty retailer's weak 2015 fourth quarter results released after the closing bell. U.S. stock futures are rising Thursday after the Federal Reserve leaves interest rates unchanged and slashes its forecast for the number of interest rate hikes it expects in 2016. Aeropostale (ARO) stock increased on Tuesday ahead of the company's 2015 fourth quarter results. Can a retailer emerge from bankruptcy and drive a turnaround? These three bankrupt retailers are going to give it a whirl. Both companies are relying on revenue and earnings from a corporate client base they are also competing with. Aeropostale (ARO) stock is rising after the company announced a cost reducing plan that includes corporate job cuts.